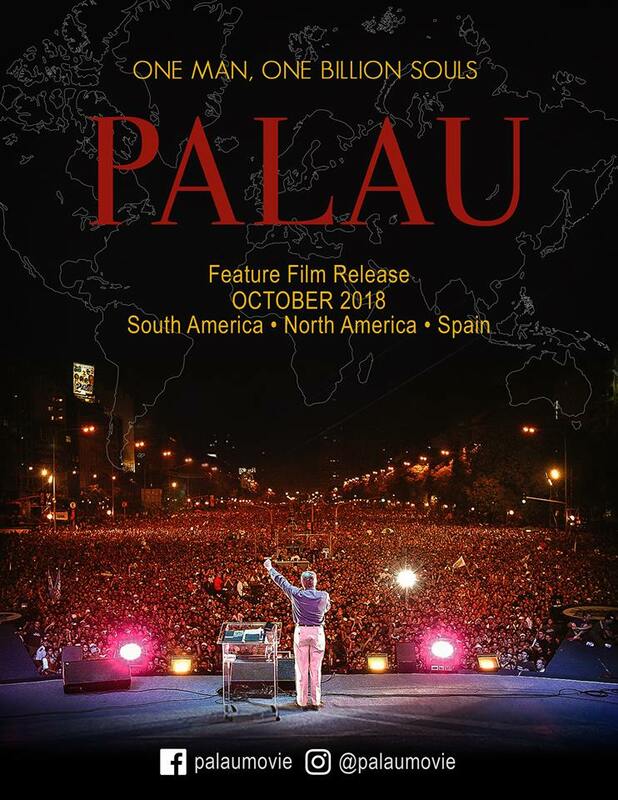 The Luis Palau Association, Ollawood Productions and Rivka Entertainment Group announced today the forthcoming release of Palau, a legacy film based on the life of international evangelist Luis Palau. The feature-length film is set to be distributed in theaters across North America, South America, and Spain in October 2018. A story of relentless grit, motivational strength and humbling triumph, Palau is a film many will relate to. As a young man, a passion and vision to proclaim the Good News of Jesus to all the nations was planted deep in Luis’ heart. Amidst both seemingly insurmountable struggles and remarkable miracles, Luis never lost sight of his calling. His extraordinary story will bring hope to the masses and encourage all that God has greatness in store for them. Palau is produced by Ollawood Productions and Rivka Entertainment Group in partnership with The Luis Palau Association. Production begins December 2017 in Luis’ birthplace, Buenos Aires, Argentina and will continue in Portland, Oregon where he currently lives with his wife, four sons and their families.